The Love Of "Chi Alphriends"
Suzie Nimoh is a rising sophomore at American University and some of her passions include smiling, loving people and early childhood education in the District. You can find this New Jersey native hanging out with her family and taking selfies in her free time. The first year of college is inarguably a time of transformation. Being away from home and surrounded by strangers drives people to decide who they want to be, usually. In my case I had no expectations of who I would be in college. While everyone was making friends who they lived with on their floor, I knew I wanted to make friends out of connection not convenience. Of course, I didn’t have a plan for where I would find sustainable relationships. I had friends from my youth group at home, but they were not people I could grow spiritually with. Aside form being involved in a local church, I thought my journey with God would be entirely individual. I ran into a couple students involved in Chi Alpha during the first couple weeks of school but I decided I would not get involved. I assumed I would not fit in, so I thought it was best to skip the awkwardness and stay away. This didn't last long because, like true followers of Christ, they were persistent and their loving presence could not be ignored. Over the weeks my heart was softened to the group, which in hindsight has to be credited to the work of God through prayers of students in XA. I met some sweet girls who genuinely took an interest in me and invited me to their small group and I agreed to go that night. From small groups to worship nights to just hanging out with others, XA has transformed my entire outlook on life. The word “community” was never significant to me, but now I understand it is how God intended me to live life. 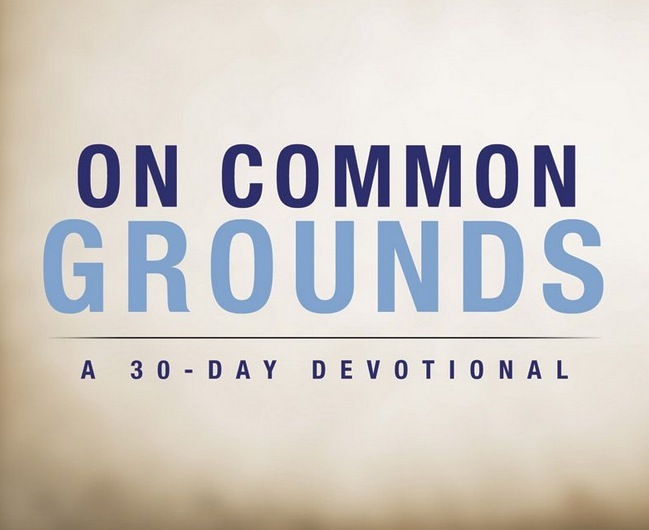 Paul describes in Scripture “for just as each of us has one body with many members, and these members do not all have the same function, so in Christ we, though many, form one body, and each member belongs to all the others.” (Romans 12:4-5). 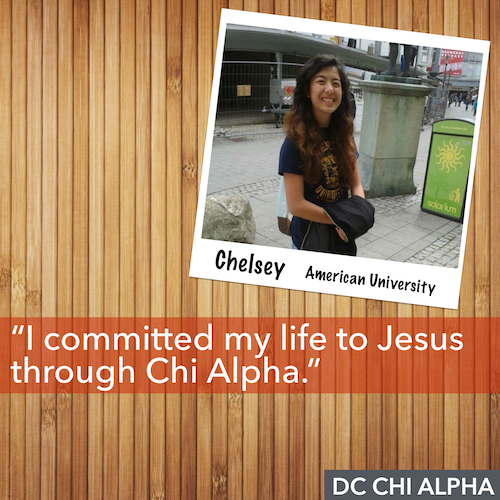 Chi Alpha recognizes the importance of diversity and that every member is integral to forming the body of Christ. Every student comes from a different background, whether cultural or socioeconomic, and the inclusive community is open to not only open to students their freshman through senior years, but people who don’t even attend the university and are our neighbors in the surrounding communities. Because of this I have been able to grow spiritual friendships: vertically and horizontally. I’ve learned tremendously from my small group leaders and have been able to look up to them. Making friends with seniors has allowed me to engage in other invaluable, vertical, discipleship relationships. I met my best friend through small group, and we both will be leading small groups next fall to contribute to the efforts that welcomed us our freshman year. XA enabled me to understand friendship: what it truly means to love and be loved. Through the friendships I have made I have a better understanding of God’s love for me and how He has called us to love others. The mission of XA is to be Christ’s Ambassadors, and students involved in this ministry don’t take that lightly. Students in XA is dedicate themselves to loving unconditionally, whether it is a freshman they just met, or a student who is about to graduate, XA works to make sure they know they are loved. 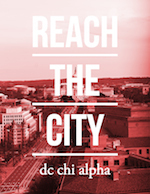 I am beyond grateful for everyone who has contributed to XA and I encourage others to be involved. Chi Alpha is the community where I found lifelong friends, the community where I was baptized, and most importantly the community that has taught me the love of our Savior. “How good and pleasant it is when God’s people live together in unity!” (Psalm 133:1).